After the catastrophic nuclear disaster in the Fukushima Daiichi power plant, not only Japan, but the world was in shock. In the wake of these events, many countries initiated plans and programs in the search for more secure alternatives to nuclear power. However, besides the technological aspects, other energy sources proved to be economically precarious and, in combination with society’s demand for different solutions, led to a chasm within Japan’s population. Now, seven years later, after the events of 2011, Japan’s anti-nuclear movement may have lost some of its influence, but the issues remain. In an article from Japan Times from 2016, author Mizuho Aoi remarks on the paradox of many Japanese citizens being against nuclear power and supporting the movement’s demands, but none of these facts influencing elections. Ever since the Liberal Democratic Party has returned to power in 2012, it seems as if have given up speaking actively against nuclear power and the government’s continuing support of it. In his third film, “Breath of Rokkasho”, director Bunyo Kimura aims to touch upon the social chasm the discussion of nuclear power has raised, the feeling of hopelessness and the loss of ideals. Rokkasho is both a village in Japan’s Aomori Prefecture, but it is also associated with the Rokkasho Reprocessing Plant, a structure aimed to provide nuclear fuel through reprocessing of uranium. Ever since the beginning of its construction in 1993, the complex has been delayed, lately because of its owner, Japan Nuclear Fuel Limited, violating safety standards. The existence of this economic black hole as well as Japan’s lack of a plan for the created plutonium, have further widened the gap between politics, economic necessity and society. Similar to his “Where Does the Love Go?” (2012), Kimura takes an intimate, personal drama as a mirror for a country deeply shook by the events of the past, events whose extent it has not fully overcome yet. Norio (Shigeki Yanagisawa), Yoshi (Nana Nagao) and Yasuyuki (Ryuta Furuya) have been friends since their youth supporting the Seed Association, a political-religious organisation raising awareness on ecological issues. As grown-ups, Yasuyuki and Norio are now important members of the movement preparing election workers and Seed’s campaign. Yoshi has long moved away to Tokyo, where she tries her best being a single mother to her son. Following the election, both men find themselves at odds with the political ideals of the movement, and while Yasuyuki is promoted, Norio distances himself further due to the terminal illness of his mother and a growing sense of disillusionment. As the three of them meet again, they begin to question their ideals, their past enthusiasm for the goals of the movement’s leader, Mr M., a mysterious figure who has long distanced himself from the field of politics. 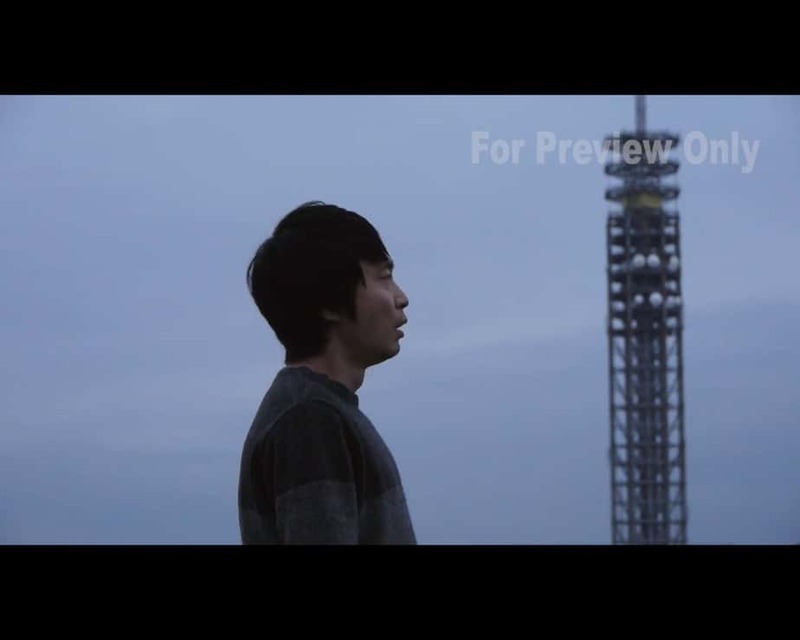 At the beginning of the film, Norio, Yasuyuki and Yoshi stand in front of the impressive structure of Tokyo’s Takashi Tower, a futuristic figure whose lights are reflected in the eyes of the characters in their childhood. Visibly amazed, as well as curious, young Yoshi asks whether the fatherly figure with them could take them to see the Nighthawk Star which the man, who is revealed as Mr M., confirms. The image is central to Kimura’s film, repeated over and over again as a constant symbol for these three characters, these experiences of amazement, curiosity and belief in the future. However, as the film progresses, as the spark of light becomes replaced by the seasoned glance of daily routine, each of these characters has to question whether the light was a mere mirage or a product of their idealized view of the past. Either way, it has gone, and the ramifications of that loss are quite severe. Consequently, there is a strong link between the characters’ loss of vision to their surroundings. The version of Japan shown through the lens of Kazuhiro Takahashi and Kenta Tawara is a place out of focus, visibly shook by events which have not been fully understood or put into a sensible context. The various flashbacks and dream sequences seem fragmented, a vague longing for a past, or more precisely, an ideal of one’s past long gone. To make matter worse, re-experiencing the past leads to no realization, no new knowledge or clarity, but in fact adds to the increasing confusion of these people. In his context, any viewer will likely highlight the performances of Bunyo Kimura’s cast. Especially Shegiki Yanagisawa’s Norio is a man whose loss of ideals and orientation – emphasized by his mother’s illness – is represented in the way he moves and speaks, always searching for some clue or grip on what has been lost. Ironically, he also seems to be the only one, or at least the first one, to face these issues leading to a heavy dispute with his friend Yasuyuki. In one of the most revealing scenes of the film, his friend finds himself not only confirming Norio’s disillusionment, but also repeating phrases he no longer seems to believe in himself. If politics and religion, a shared belief in something was meant to bring them together, but instead it has defined an almost unbridgeable issue between them. Indeed, Kimura’s film seems to ask the question whether politics without belief is nothing more than a temporary plaster, one whose repeated exchange has done more damage than good. “Breath of Rokkasho” is a story about a traumatized society attempting to find meaning and orientation after old ideals and beliefs have been lost. Kimura’s vision of Japan is bleak at times, but not entirely without hope as the “faint voice of truth” may still be heard or may show a new possibility for happiness. With great performances and cinematography, Kimura’s third film delivers a powerful message about the importance of principles and ideals, to not let them out of your sight. 1) Urabe, Emi; Stapczynski, Stephen (2016) Japan’s ¥2.9 trillion nuclear recycling quest coming up on three decades. 2) Kyodo (2017) Japan Nuclear Fuel skipped safety checks at Rokkasho plant for 14 years. 3) Johnston, Eric (2014) Going nuclear: How close has Japan come? Ever since I watched Takeshi Kitano's "Hana-Bi" for the first time (and many times after that) I have been a cinephile. While much can be said about the technical aspects of film, coming from a small town in Germany, I cherish the notion of art showing its audience something which one does normally avoid, neglect or is unable to see for many different reasons. Often the stories told in films have helped me understand, discover and connect to something new which is a concept I would like to convey in the way I talk and write about films. Thus, I try to include some info on the background of each film as well as a short analysis (without spoilers, of course), an approach which should reflect the context of a work of art no matter what genre, director or cast. In the end, I hope to pass on my joy of watching film and talking about it.